It’s not too early to start thinking about which 2016 projects you want to enter in the Spark Awards next spring! If you’re not sure whether you’ll participate, here are some reasons our organization chooses to enter each year. This may seem like a no-brainer for some, but it was a real aha moment for me. The first time we entered the Spark Awards, we were a bit blindsided that we wouldn’t be judged purely on the quality of our product, but that we would need to quantify its effectiveness. We are a small team and at the time we didn’t have a system in place for measuring that. The Spark Awards made us really stop and think about how we could track our results from the beginning of a project, instead of trying to piece data together in retrospect. We are a media company and it’s easy to get wrapped up in the next exciting job and neglect our own marketing needs. It’s wonderful to reward those who manage the internal projects and our own marketing campaigns. Whether you win or not, you are showing gratitude and confidence in your staff by making the investment to enter. We involve our clients in the entry process and they are proud when their project wins an award and reinforces the value of our collaboration. It’s a great opportunity for more facetime with them when they attend the awards celebration with us, and we make sure to order an extra award so both we and our client can have bragging rights. 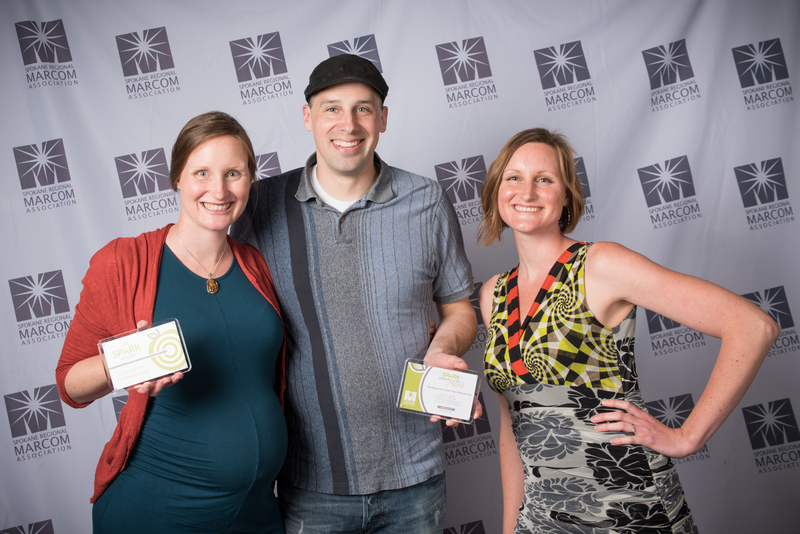 It’s never money wasted to enter the Spark Awards, because the cost to enter helps fund our MarCom scholarships. All year, with each project that goes out, be it client work or internal marketing, we have the Spark Awards in the back of our minds. We want every job we do to be award-worthy, and we want their effectiveness to be measurable if we decide to enter them. What better way to celebrate a year of hard work together with your staff, than to get dressed up, enjoy some delectable food and drink, and bag some trophies? Don’t forget that MarCom members enjoy preferred pricing on their Spark entries, so be sure to renew your membership or join Spokane MarCom this September! Graphic Designer for Rogue Heart Media, Inc.